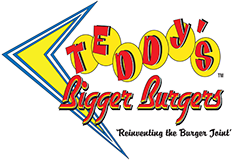 We’ve given our Teddy’s Bigger Burgers fans all kinds of exciting and unusual burgers this year. To wrap up 2012, we thought we’d mix it up and give you a little breakfast in your burger! Announcing the December Burger of the Month: Chicken & Waffles. Chicken & Waffles is a beloved soul food tradition from the South, and we’re bringing it to Honolulu with this special burger. Order your choice of our crispy chicken breast or original burger patty, topped with cheddar, bacon and maple syrup—and yep, it comes sandwiched between two crispy waffles! We know it’s a little different from our regular burgers, but you’d better believe that it’s GOOD! This month we’ve decided to be extra generous with our shakes and give you TWO shakes of the month to keep your burger company: Maple or Mint Chocolate Chip. Our Maple shake of the month will partner well with that Chicken & Waffles burger. Or for you people trying to get into the holiday spirit, the Mint Chocolate Chip shake will give you that minty, wintery feeling in your mouth. Whatever your choice, give yourself the gift of our delicious flavors of the month this holiday season. Merry Christmas and Happy New Year!